The silhouettes have once again appeared in Penshurst Church. 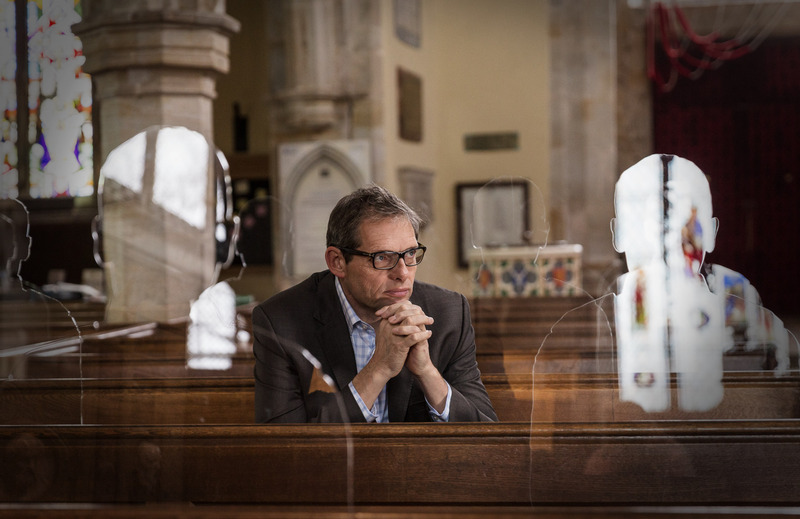 This moving installation, known as ‘There But Not There’ was created by Martin Barraud, local artist and photographer from Penshurst and first installed in the Church in November 2016. The aim was to “take the names off the wall and bring them back into the village psyche” and to encourage visitors to the church and the Remembrance Day service as attendance had been falling over recent years. We had no idea then, that the idea would eventually evolve into a national project and a new charity with the silhouettes appearing in churches not only nationwide but across the world. We have visited the installation each year and every time I find it so moving. The children come along and ask lots of questions about the silhouettes, why they are there and what happened during the war. It helps them understand the significance of this part of our history. There are now 52 figures in Penshurst Church, representing 51 men that were lost from our village alone, with another figure that has no name (representing the 526,675 soldiers who have no known grave). Each figure has a name block, with brothers and cousins sitting together. This year the installation has even more significance as we approach Remembrance weekend which signifies 100 years since the signing of the Armistice agreement and the end of the First World War. ‘There But Not There’ has now evolved into a national charity, ‘Remembered’ that is raising funds for a number of veteran charities through the sale of table-top sized Tommies (see below for link if you would like to purchase one of these). As we approach Remembrance weekend, life sized Tommies have been appearing all over the country, from St Pancras Station in London to The Giant’s Causeway in Ireland. Silhouette installations have also appeared in churches up and down the country, and can even be found just now in St Margaret’s Church next to Westminster Abbey. Perhaps even more incredible is that the project has gone beyond our shores to the United States, Canada and Australia. The project aims to ‘Commemorate, Educate and Heal’. The Tommies are made by ex-service veterans employed by the Royal British Legion Industries, and so far the There But Not There project has raised over £2 million for veteran charities. To think this all began in our little village is quite an incredible story and as a photographer I feel compelled to try and photograph the silhouettes each time we visit (not always that easy!). So I thought I’d put this article together with some of the photos I’ve taken, to help tell the story of how the silhouettes first came about. This week is Armistice Centenary week in the village and there are a number of events to mark a hundred years since the end of WW1. On Friday 9th is the event ‘Voices – a centenary war scrapbook’ – you can bring and tell your own family stories, letters and poems from WW1. There will also be drama featured as well as conversation with the artist himself, Martin Barraud about the ‘There But Not There’ project and how it all began. On Sunday 11th at 6pm there will be a special Candlelit Armistice Evensong at the Church. This is to be followed at 7pm by the lighting of the Penshurst Beacon outside the village hall and then a special village centenary event ‘Penshurst Remembers’ in the village hall itself. Tickets are available for this at the village shop. All other events are free to attend. There will also be a WW1 exhibition in the village hall all weekend and the silhouette installation will be in the Church until 6pm on 15th Nov.
It’s going to be a busy weekend in Penshurst but if you do nothing else, please make sure you visit the ‘There But Not There’ installation in the Church. I promise you will be moved by it and your children will take a lot from it as well.